The white-tailed deer is commonly hunted across North America. The argument for and against deer hunting is nothing new, but it seems no closer to being resolved than it was decades ago. While the debate may appear to create a firm line between hunters and animal rights advocates, the truth is a little more complicated than that. 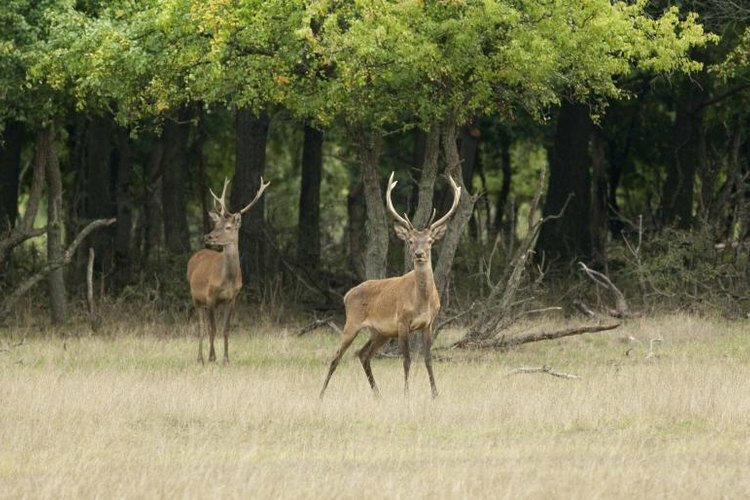 Deer hunting comes with environmental benefits, along with potential dangers. One of the primary benefits of deer hunting is population control. White-tailed deer numbers have expanded greatly since the early 20th century, and hunting has historically been one of the most effective ways to keep populations in check. This prevents deer from running out of food, and reduces unwanted interactions between deer and humans, including automobile accidents and damage to farmers' fields. Deer hunting also provides meat for the hunter, and is a necessary food source in some regions. Revenue from hunting license sales helps to fund environmental programs in the United States, and the skills learned by hunters are useful in wilderness survival situations. A danger exists of hunting an animal to extinction, which nearly occurred with the American bison in the 19th century. An argument can also be made against deer hunting on moral grounds, since hunting inevitably results in the death of animals. In some cases, deer may survive for hours or days after being shot, especially those inflicted with arrow wounds. Deer hunting may pose a danger to the hunter or to others if it is done irresponsibly, which is why hunting is typically restricted in populated areas, and safety courses are required of hunters in many states.